The Clam ring is a new contemporary tension set design. The stone is a 5mm tension set white Topaz. The stone is tension set between a long cut in the silver giving it the look of a clam. 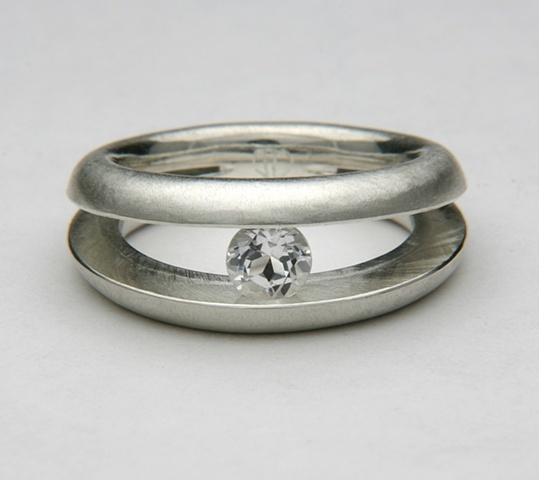 This particular ring is made of sterling silver, but it can be made in any metal except De-ox silver.